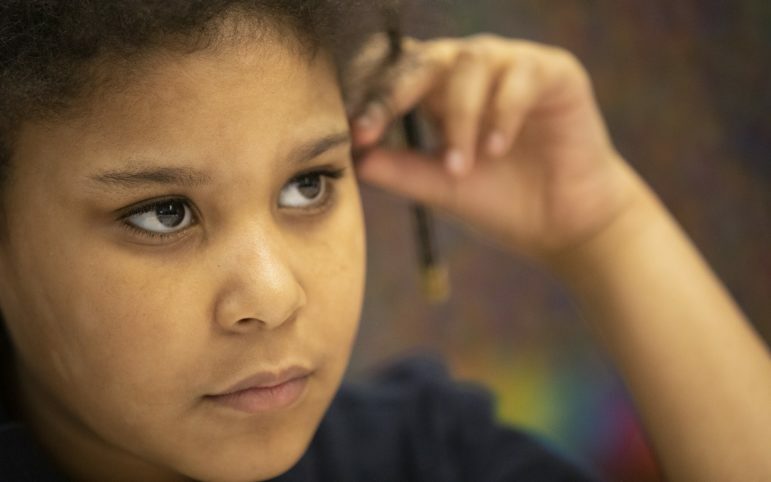 Brick-and-mortar charter schools differ from traditional public schools in format, philosophies and funding, but new state data shows that Allegheny County charter schools similarly struggle to close achievement gaps between black and white students. White students in 10 local charter schools outperformed black students by double digits in state tests, according to 2017-18 data from the Department of Education’s Future Ready PA index. Among the charters, the highest achievement gaps were found in the highest-achieving schools, which are City Charter High School, with grades 9 to 12, and Environmental Charter School, which has grades K-8. City Charter had a 47.9 percentage-point gap between black and white students in algebra. “We understand, and we see that it is an urgent issue that we have to work on,” said Dara Ware Allen, who became principal and CEO of City Charter in August. Environmental Charter School had a 45.3 percentage-point gap in math and a 41.8 percentage-point gap in English. Black students make up 15.4 percent of the school’s population, the lowest black enrollment of any charter school in the county. "We are not going to shy away from our scores. We know that what is best for kids is to do the work we need to do,’’ said Jon McCann, CEO of Environmental Charter School. 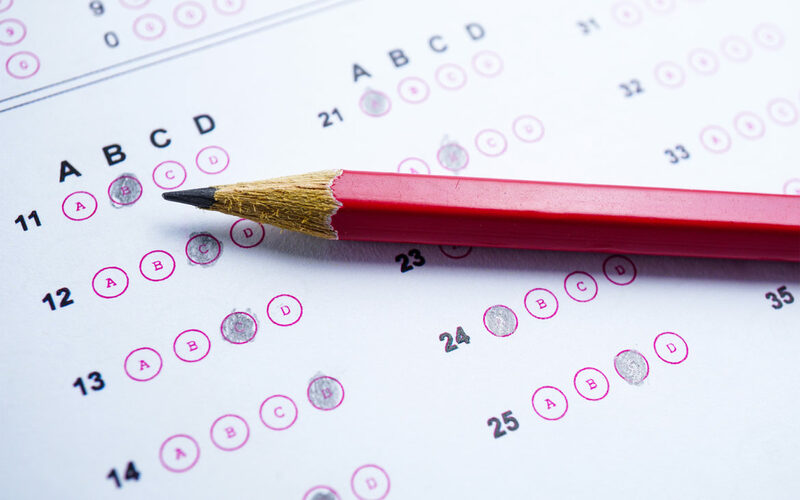 The racial achievement data comes from student proficiency scores on the Pennsylvania System of School Assessment exams given to students in grades 3 to 8 and secondary students on the Keystone Exams in English literature, algebra and biology. Breakdowns of test scores among racial subgroups were released via the Future Ready PA Index, created in November 2018. The state has not publicly disclosed scores broken down by racial subgroups since 2012. Allegheny County has 22 charter school organizations. In addition to the 10 schools with reported achievement gaps, 10 more lacked enough students in either their black or white subgroups to have a reportable gap in the data. One other school lacked enough students to take the tests and another only had enough students for math. Last week, PublicSource reported on racial achievement gaps in more than half of Allegheny County’s 42 school districts outside of the City of Pittsburgh. Achievement gaps in Pittsburgh Public Schools exceeded 40 percentage points at some grade levels, according to the district’s annual report. Experts say other factors contributing to the achievement gap are a lack of culturally relevant materials in schools and the fact that the majority of teachers are white. About 96 percent of Pennsylvania teachers are white, according to the state Department of Education. 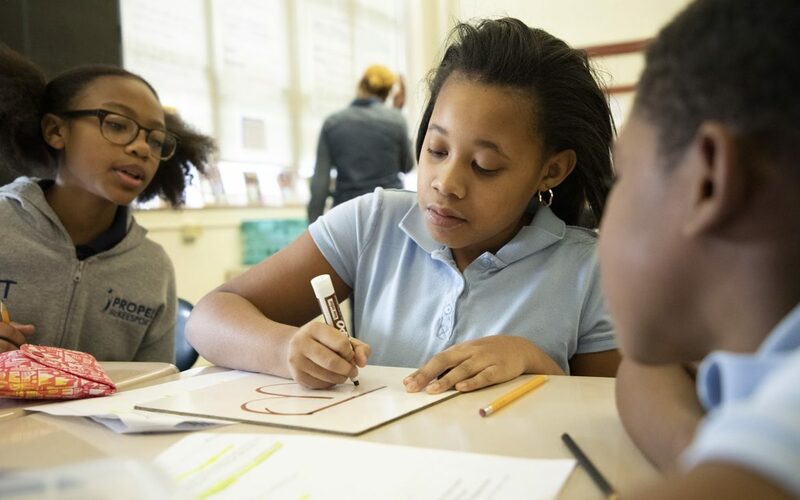 Racism also has a significant impact on academic achievement, said Darius Prier, associate professor and associate dean for teacher education at Duquesne University School of Education. “The larger question is how the education system is empowering or disempowering our students,” Prier said. The lone exception among the achievement gaps in charter schools is found at Propel McKeesport, where black students make up two-thirds of the student population and outscored white students by 1.6 percentage points in English. Across the Propel Schools system, racial achievement gaps across test subjects range from 17.6 percentage points in math at Propel Pitcairn to 32.6 percentage points in science at Propel Braddock Hills. Propel Schools Superintendent and CEO Tina Chekan said lower teacher and student turnover could be a factor in the positive results at Propel McKeesport. Chekan said most of the school’s English teachers in grades 3 to 8 have been there more than six years. “I think that has a lot to do with it. They’ve been part of the professional development for a longer period of time. Many of those classrooms have become model classrooms,” Chekan said. Pittsburgh Public Schools also had three schools where black students outscored white students, an anomaly in Allegheny County. At Pittsburgh South Hills 6-8, black students’ proficiency rates in science were 2 percentage points higher than white students. At Pittsburgh Westwood K-5, black students’ proficiency rates in English were 1.3 percentage points higher than white students. At Pittsburgh Conroy, a K-12 school where life skills and support is provided to students with special needs, black student proficiency rates in English were 13.3 percentage points higher than white students. At Pittsburgh Greenfield, black and white student subgroups showed proficiency rates of 67.6 in English. These are the only reported examples of black students showing higher proficiency than white students in Allegheny County public schools. Chekan pointed to other areas of success in the Propel system, including Propel East. The school still has large achievement gaps but, according to state measures, both black and white students are exceeding the growth targets in English and science and meeting the growth targets in math. Some other Propel schools show little growth and low scores. At Propel Hazelwood, math proficiency rates are 9.1 percent for all students and 3.2 percent for black students. The state index reported Propel’s proficiency rates at Propel Homestead, Propel Braddock Hills and Propel Montour as if each was a single school. But Propel operates multiple schools under each of those charters. Nine charter schools in the county with black enrollments ranging from 81 percent to 98 percent had no reported achievement gaps because they did not have white subgroups (20 or more students). They also had some of the lowest proficiency rates, particularly in math. The lowest scores across the board among charter schools were at Hill House Passport Academy, a diploma retrieval charter school in the Hill District. There, 8.3 percent of students scored proficient or advanced in English and 2.8 percent in math and science. Hill House Principal Jeffrey Jackson said most students come to Hill House at ages 18 or 19 but have English and math skills at a sixth-grade or seventh-grade level. That makes it difficult for the school to raise students to state proficiency standards before they complete the credits needed for a high school diploma. About 35 percent of the 170 students at Hill House are homeless and about 25 percent are single parents, Jackson said. Ana Meyers, executive director of the PA Coalition of Public Charter Schools, said socioeconomics is likely a factor at low-performing charter schools. Chekan said the growing number of economically disadvantaged students impacts learning. About 80 percent of Propel students are economically disadvantaged, she said. Propel Schools started a “Partners in Wellness” program this year that addresses the social and emotional wellness of students. For example, their schools keeps extra clothing for students who come to school wearing dirty clothes or items that violate the uniform policy. The component of the program is intended to help students feel comfortable and to keep them from missing class for disciplinary infractions. Penn Hills Charter School for Entrepreneurship leaders also cited poverty as an obstacle to student achievement. CEO Wayne Jones said the majority of black students at the school are economically disadvantaged. The school also keeps clean clothes for students, puts food in backpacks to take home and provides free after-school programming. "Poverty, that's the story the numbers aren't telling," Jones said. At City Charter High School, officials hope to reduce suspensions that cut into class time. 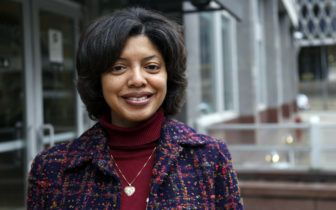 Dana Thompson Dorsey, associate professor of urban education at the University of Pittsburgh’s Center for Urban Education, said disparate discipline of black students is often connected to racial achievement gaps because it prompts black students to feel pushed out and disengaged from school. Allen saw that a number of students were being suspended at City Charter High School for foul language offenses so school officials have come up with alternative discipline for the offense. “In the past, any instance of the F-word brought an automatic suspension,” Allen said. Under a revised policy, the punishment for a first offense may be a requirement to clean after school or eat lunch with administrators rather than with friends. The school also considers restorative methods, rather than suspensions, for students involved in altercations. City Charter teachers attend implicit bias training at Pitt’s Center for Urban Education. In-house professional development sessions on the topic are held for teachers who can’t attend at Pitt. McCann said the school’s staff “really started the work” to close the racial achievement gap three years ago.That included a review of data, “but the data doesn't tell you what is wrong with the system," McCann said. The school has started a black student union, which handled some of the programming for Black History month. School leaders have also invited back some of its minority graduates, who are now in high school, to talk to staff about their experiences at Environmental Charter School and at their high schools. But they also spoke of things that made them uncomfortable. The students said they felt teachers had lower expectations for them than their white counterparts. They said the practice continues for them in high school, where they felt they were being encouraged to sign up for lower-level courses and that their parents had to fight to get them into higher-level subjects, said Jaleah Robinson, principal of the upper school, which holds grades 3-8.